Le Thanh Son, born 1962 in Vietnam, is an established artist in Vietnam’s contemporary art scene. He graduated from Hanoi’s College of Drama and Cinematography in 1986. 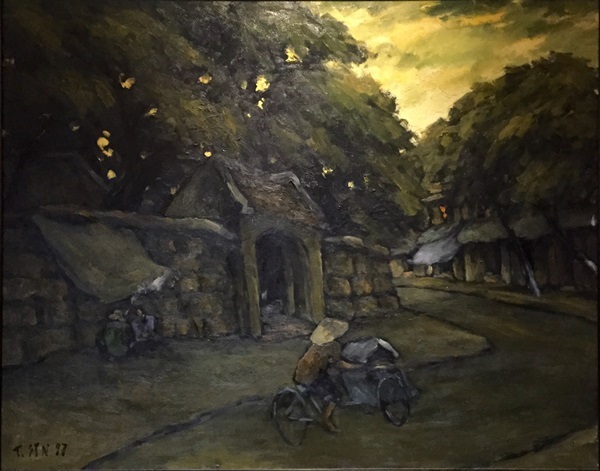 Member of the Vietnam Fine Art Association, Le Thanh Son’s work has been a great influence on the younger generation artists in Vietnam. He created waves with his mix of modern impressionism yet still being rooted to the typical Vietnamese flair. Throughout his career, Le Thanh Son has achieved many awards and held several solo exhibitions. His works are collected and displayed in several museums and private collections around the world. It is evident that he loves landscapes and nature as witnessed through his works. He works mainly with oil on canvas, applying thick coats of paint and large brush strokes to carefully to create his vision.